We love to hear all about your wedding experience with New York Dream Weddings! Please take the time to write a small review of our services below. And feel free to read what some of our past clients have to say about us! We decided to get married in New York and came across New York Dream Weddings online and boy are we happy we did. From the moment we made contact with Harley, every question, every request was granted with ease. It was all made so easy, paper work all taking care off, so professional but yet so personal. We travelled from Ireland with friends and family and Harley and his team made our Wedding day so magical, a New York Dream Wedding!!! Highly recommend NYDW enough, you will not regret it! When we decided to get married we wanted something a little bit different. New York had always been somewhere my husband had loved when he visited previously. We read heaps of reviews and they all seemed to lead us back to Harley. From the moment we contacted him he was super helpful and always responded immediately and no question was too difficult to answer. Organizing a wedding from the other side of the world can be a little stressful and you are hoping everything will go as planned when you get there. Harley was everywhere is said he would be and everything went off as planned (except the weather which Harley and Sacha worked really well with). Sacha our celebrant was just lovely and really took the time to get to know us before the ceremony. Our limo driver was easy going and a delight to have there on the day. Nothing we asked for was too difficult for Harley and our photos were one of a kind. Can't thank Harley enough for his assistance to organize our wedding and even after the day his support was terrific. A Fairytale Wedding In New York was what we wanted & Harley Hall delivered the perfect day in everyway. We live in the UK, on the "Isle of Wight" to be precise & had fallen in love with New York on a previous visit. Their is something very magical, timeless, enchanting & classic about the city that never sleeps. After some initial investigation it soon became clear that their was only one company "New York Dream Weddings" that ticked all the boxes. Harley Hall was always only an email away, answering all our questions & requests with speed & clarity. We booked the "Dream Wedding Package" to include everything & we were not disappointed. Harley met us the day before to sort out the necessary paperwork for the wedding. Harley Hall is a great guy, he truly loves what he does, makes you feel very comfortable, has a passion for his work & most important, is exceptionally good at it. On the Big day my partner had her hair & makeup done (arranged by Harley) at the house we were staying in/rented. We made our way to Central Park where a beautiful "Horse & Carriage" took us to Wagner Cove, where everyone was meeting us. To say it was perfect was an understatement. We were introduced to our Videographer, the musician & our minister, Sacha Jones. The ceremony itself was lovely, funny, emotional & very personal. I would definitely recommend "Sacha Jones", she took an incredible interest in our "Love Story" & wove it into the ceremony seamlessly. The musician that Harley had arranged to play our five favorite songs was amazing & a extremely talented individual. After the ceremony Harley led us to "Bethesda Terrace/Fountain" to commence our photo shoot & then on to our waiting Limousine. Mike, our driver was a really nice gentleman & had our Champagne chilled & ready. Our party then moved on to (DUMBO) "Brooklyn Bridge" to continue the photo shoot, then "Central Station" & finally the "Rockefeller Centre" (Top Of The Rock) . Well we wanted a Fairytale Wedding in New York & that was what we got. The photos & video we received a month later are incredible. The standard & quality was breathtaking. There was over 400+ photos (which are all ours), a 15min video of the ceremony & a 4min "Highlight Video" of the day. The "Highlight" video (played to one of our wedding songs) is the Best "wedding video" I have ever watched & was worth every penny. The photos themselves are of a standard that I have never seen before & will be treasured. We would 100% recommend "New York Dream Weddings" to anyone considering getting married in NY. The professionalism, execution, value & service was outstanding. My wife & I can't thank Harley & his incredible team enough for everything they did for us & making our wedding the most special day of our lives. We were a little unsure of how the everything was going to work, getting married in New York and living in the UK. Harley was absolutely fantastic throughout the whole process of planning our wedding. We chose Harley because of his incredible photography skills and were happy to discover he also planned weddings, took care of make up, hair and limo services too. He tailor-built our package so that we got exactly what we wanted and was always at the end of phone or email, answering little questions that popped up along the way. Harley is friendly, funny and charming, making the day relaxed and fun. We were so excited to receive the photos after the wedding, and they did not disappoint. Harley truly is a master of his craft, somehow managing to make the simplest of shots look beautiful and theatrical. Thank you for immortalizing our special day in the most incredible way. When we decided to get married in New York, we started looking for someone who could help us with our elopement. I searched on the Internet and got to New York Dream Weddings website. I watched the presentation video, saw the photo gallery, read all the reviews and watched all the videos. That wasn’t enough for me, so i did some research online. I looked for Harley Halls work, trying to know if he was the right person to organize our special day. I found out he was recommended by Kleinfeld. It made me think that wouldn’t’ t risk their reputation, right? A few days later i sent Harley an e-mail with some questions. He answered the same day. He told me that he speaks Portuguese, so language wouldn’t a problem. A month before the wedding he sent me an e-mail with the forms, date, hours and arranged the ceremony celebrant, the flowers, hair and makeup stylist, the limo and the video. I didn’t ‘t have to worry about anything. On the wedding day, everything went just like he said. His team arrived to my hotel and started working straight away, everything went on time. I must say Harley and his team are absolutely fantastic! I loved Sacha! We couldn’t’ t ask for a better person to celebrate the ceremony. Heidi made me look amazing. Mike was very nice and helpful, Alex and Harley made us feel at ease and everything happened so naturally. Finally, when we met Harley he told us he works hard to be the best. He is, for sure. The elopement planning was exceptional, everything on time, the photos are incredible and his Portuguese is perfect. Word’ s can not express how grateful we are. Thank you so much New York Dream Weddings! We will be back to celebrate our 25 years of marriage, we will all meet again. I find it difficult to put into words, the overall experience we had with NY dream Weddings. From the very first contact with Harley, i knew i had chosen the right person to organize our wedding. Everything went like clockwork and the people Harley works alongside, are all so talented and so friendly. I fell in love with Sacha before we had even met and the ceremony she performed was magical, beautiful and very romantic. We all cried at one point, which thankfully didn’t ruin the amazing makeup that Heidi had done. The only words to describe Harley and his work ethic would be amazingly talented dedicated and a general all round gentleman. Thank you for the most amazing memories of our perfect wedding! Well, what can I say about Harley, he is a fantastic, creative and lovely person who made our wedding absolutely PERFECT! If you’re thinking about eloping or getting married in New York - you will never regret to using Harley and ‘New York Dream weddings’. It’s the best decision we have made. From the beginning when we started enquiring, to asking a million and one questions, to changing the date of the wedding at very short notice, to the wedding day and after when we received the pictures. (Very quickly too). Nothing was too much trouble for Harley, he was so helpful, kind, friendly, personable and an outstanding photographer. The day itself was ... perfect, it couldn’t have gone smoother, as soon as Harley met us in our hotel, it felt comfortable, easy, natural and became the best day of our lives. Harley was ridiculously creative with his photos, they were phenomenal! He is an incredible photographer and we count ourselves extremely lucky to have had him. Everyone who we have shown our pictures to, gets the same reaction, stunned and the same comment “These are the best wedding pictures I have ever seen, wish mine were like that”. At the ceremony, we were lucky enough to have the gorgeous and beautiful Sacha our officiant who is genuinely the nicest person we have ever met and having her actually write and perform our wedding ceremony - we consider ourselves and any couple who have her do it very, very lucky and privileged. The pictures that Harley captured during the day showed exactly how we felt at that moment, it showed the emotions in the pictures beautifully. Harley and ourselves spent the afternoon and evening together around New York and Harley did not feel like someone ‘following us around’ it felt like our friend was part of our special day, he made us laugh, took away any worries and he ensured that we had the perfect day that it was. We can’t thank Harley enough and we hope our words have done himself and his company justice, forever grateful. Ps - big shout out to Mikey the limo driver! Our experience with New York Dream Weddings was perfect from start to finish. After being engaged for two and a half years, we finally decided we wanted our day to just to be about the two of us and as stress free as possible... and it certainly was just that! The communication in the lead up was fantastic and made us feel very at ease. When we decided to get married overseas, we knew it had to be New York City. The thought was daunting coming from Australia, but the minute we found New York Dream Weddings, all our worries went away. From the very first email, right up until the end, Harley was an absolute pleasure to deal with! He made the whole experience so easy and effortless, and we often found ourselves feeling like we should be doing more! Nothing was ever hard and we never felt silly asking questions about our big day. Harley was so accommodating and truly made us feel so at ease. We had read online that Harley makes even the most awkward people feel comfortable in front of the camera and it really is true. We didn't find ourselves feeling embarrassed while shooting and had so much fun. Harley has a true gift, and it shows in his work. He has such a passion for what he does, and it shines so brilliantly. Our wedding pictures are everything we hoped them to be and then some. Our celebrant Sacha, was truly a beautiful person. She took such time and care in getting to know us in order to write out ceremony. Meeting her the day of the wedding felt like we were meeting an old friend. We will be forever grateful to Sacha for telling our story in such a perfect way. From the hair and makeup, to the amazing flowers, the limousine and the videography, everything went by so smoothly and could not have worked out better. If you are considering getting married in New York, we couldn't recommend NYDW, Harley and his team more. I honestly don't know where to begin...New York Dream Weddings is exactly that! Harley Hall and his team of wedding experts gave my husband and I the most perfect wedding we could have hoped for. By nature I'm a worrier and it took me a while to decide how to go about booking our wedding but I couldn't have asked for a better wedding planner/advisor/expert than Harley. He always answered my many questions and gave us some helpful tips when we were struggling with ideas/places. Meeting Harley in NYC couldn't have gone smoother, he had everything mapped out. There really wasn't anything for us to worry about, he had it all under control and we are so grateful. We were over the moon with this alone and how the day went but that's nothing to how awestruck we were when we received the photographs! The man is a wizarding, I swear! He really knows how to capture those little moments that mean everything. These are photographs we'll cherish for a lifetime, truly spectacular. Honestly if you're thinking of getting married in New York, look no further! Harley and his team will give you the wedding and memories you'll never forget! My husband and I are a local couple and live in New York City. We wanted to have a small private ceremony with a real NY feel. I found Harley and all I say say is WOW! He responded to all of my emails and questions promptly and professionally. His team were very professional and gave me the "look" I was going for. I felt pampered and beautiful on my wedding day. The flowers were amazing, exactly what I pictured. Harley took care of everything! We spent the day with him and it was like hanging out with our good friend. And what can I say, the pictures we received blew us away! All of my friends and family commented that the pictures we have of our wedding day are like nothing they've ever seen, every one is special and tells the story. 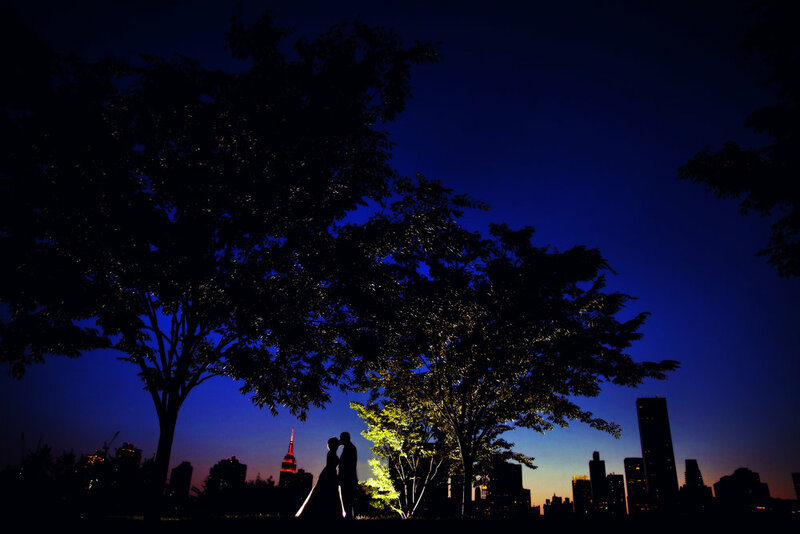 If you want the best New York City has to offer; hire New York dream weddings, the name says it all! We knew we wanted to get married in NYC, specifically in Central Park, before we were engaged. It was the only detail I have had planned since I was a child. I knew I wanted to get married in Central Park and have dinner at Tavern on the Green. Thanks to Harley and his team, my dream became a reality greater than I could have ever imagined! Every detail was taken care of for us, so all we had to do was show up. We were able to relax and simply soak up every moment of our wedding day. The stylist did a beautiful job on my hair and make up! Sacha Jones was such an amazing celebrant. The ceremony was so touching and personalized to us. It was like she knew our story and us for years. Stephanie (our videographer) was so a perfect energy to have around. She somehow managed to feel like an old friend that was just as excited as family to see us married; all the while, capturing every little moment. Her highlight video was so beautiful that it brought tears to our eyes as we relived that day. The video of the ceremony was beautiful and such great quality; it made our grandparents who could not be there in person feel as though they didn't miss a thing. And the photos!!! Where to begin...all of our photos were so captive of every emotion and moment that happened through out the day. Harley is so talented and made us feel so comfortable. He was so easy going and all of the pictures came out better than I could have even imagined. From the photos of us with our family and friends to the unexpected stop in front of the limo, we loved every photo that we received and will cherish them forever. We loved everything about our wedding and are extremely thankful for New York Dream Weddings! I fell in love with New York Dream Weddings the day I discovered their website and this team of wonderful people delivered more than I ever expected. Jody - Thank you for working with a girl who had no clue how she wanted to wear her hair, my hair turned out amazing! Heidi - Perfection! You made me feel more beautiful than I ever imagined I could. Sacha - You write the most beautiful love stories, your words will always have a special place in our hearts. Kevin - I have watched my video a hundred times and it makes me cry every time, your work is absolutely beautiful! And, Harley Hall - You have the most amazing team and your work is truly breathtaking. You made our day so easy from the moment that I sent you the first email and something we will cherish and remember for the rest of our lives. When we decided to elope in NYC we were very surprised by the number of companies offering elopement services. We decided to go with New York Dream Weddings because of the comprehensive package they offered. Aside from communicating what we wanted, we didn't have to do a thing! Harley is very quick to respond and took care of everything- our license, flowers, transportation, officiant (who was AMAZING), and photos. Harley was a blast to be with, which made our day even better. (Who wants to hang out with an awkward photographer all day?) One thing we really appreciated was his experience and knowledge of the city. We were able to quickly get great photos at four NYC locations because he knew exactly where to get the best shots. We had our photos in hand less than three weeks from our wedding date, which was much faster than expected. I'd recommend Harley and his team to anyone looking for a great New York City wedding (or anyone looking for a great photographer). The experience was stress free and worth every penny! What an absolute pleasure it was having Harley and New York Dream Weddings plan our wedding! From the beginning it was smooth sailing! Even from so far away! I couldn’t have imagined a more perfect day!!! Our photos are so unbelievably perfect. He did the most wonderful job capturing our love story. His personality was great making the day even better. If I had to do it all over again I would 100% without a doubt choose them again! We got married in New York City just over four weeks ago. I got in touch with Harley at New York dream weddings only a few weeks before our big day. He was so helpful and stayed in contact with us all the way through our planning. He also arranged my hair and make up for the morning of my wedding and I was so happy with how it turned out. We arranged to meet Harley at the City Clerks Office the day before our wedding. He was so organized and everything ran so smoothly. I couldn't believe how easy he made it all seem. We travelled from Ireland to New York to get married so we were quite anxious about how it would all turn out. The best decision we made was to hire Harley as our photographer. We aren't big on getting our photos taken but Harley made it seem effortless! We spent the whole time laughing and joking and chatting with him. We received our photos today and we are delighted with them. Harley and his team are just brilliant and I would highly recommend them. Thank you Harley for being our witness and photographer! You made out day unforgettable. My new husband and myself would like to thank New York Dream Weddings for making our New York dream wedding a reality!! They say a picture says a thousand words and if you could see mine now you would book with Harley today! I discovered Harley by fluke when I saw his business add pop up on Facebook. I had not even thought of getting married in New York, but legit when I saw that one picture advertising Harley's business I immediately showed it to my then Fiancé and told him that was how we were getting married! After looking up reviews it was a done deal! Everything to do with the wedding was plain sailing after that thanks to Harley being so helpful and hands on with every little detail and question I had, and believe me there was a lot as we had never even been to New York before! Even with the time difference (we are from Ireland) Harley always responded within 24 hours & any question we had he was happy to give his advice - he even choose our ceremony location as his advice was too good to refute. His recommendation was spot on after we told him what we were looking for, you can tell her really listens and invests in every single couple. It was like having a friend snap your pictures - which are the most AMAZING pictures I have even seen for a wedding, so so different to everyone we know who gets married at home. A big big thank you to Sasha also (Harley's officiant) for putting together the most amazing wedding ceremony we have ever witnessed in our lives! We have even printed the ceremony on our wedding book for all to see back home. If you are considering getting married different to the norm book with NYDreamWeddings now, I cannot recommend it enough! Our experience with New York dream wedding was absolutely perfect from start to finish! Me and my now wife are from the UK and after looking into weddings locally we found that the cost was just outrageous, this is when we decided on a small private wedding in New York! The price we were quoted was a fraction of anything we had looked at previously and let me tell you the value we received was excellent! We had never travelled to America at all before but Harley answered every question we threw at him never waiting more than a day to receive a reply, literally nothing is too much trouble for this man and we are truly grateful for the experience we were given and will never forget it! From the wedding planning to the photography, the professionalism and quality is brilliant. We highly recommend this company for all of your wedding new york wedding needs, I would also personally recommend Brooklyn bridge Park as a location for the wedding as it is so peaceful and romantic with incredible views of Manhattan over the river, trust me out pictures are out of this world! Once again a big thank you to Harley and everyone who was involved in our special day. Aisling and I were coming all the way from Ireland to get married in NYC. We knew it would be a truly unique experience, however we didn’t know a thing about how to go about doing it. We came across www.newyorkdreamweddings.com and liked what we saw. Soon enough we were in contact with Harley. From minute one, Harley was five star! Excellent with feedback, suggestions and response times. Soon enough we had picked a package that suited us. It’s important to say that from a non-National’s perspective, coming from outside the US, we felt somewhat like we were taking a huge leap of faith in Harley and that www.newyorkdreamweddings.com would actually turn out as advertised – but as soon as we met Harley at the City Clerk’s Office, any sense of doubt evaporated! Harley is THE man! So nice and friendly. He hand held us through all the legal and paper work requirements which made for a really smooth and quick process. For the actual wedding day, our celebrant Sacha, also arranged by Harley, and Harley, as photographer, were looking after our ceremony in a Park Avenue Chapel. It was perfect for us! Sacha, whom we’d been in touch with prior to arrival, provided a beautiful and very personal ceremony. All the while, Harley was doing his thing as a professional photographer and captured the ceremony perfectly! Afterwards, we spent time in Central Park to get more photos taken with the park as the background. It was surreal and beautiful and something we never thought of. It was fantastic and truly memorable. Till today, Aisling and I had nothing but happy memories of the day but now we have our photos 😊. They are the cheery on top of the whole experience and package. Harley has artistry in his profession and captured beautiful images of my special bride, on our special day – we have hundreds of photos to remember the day forever. 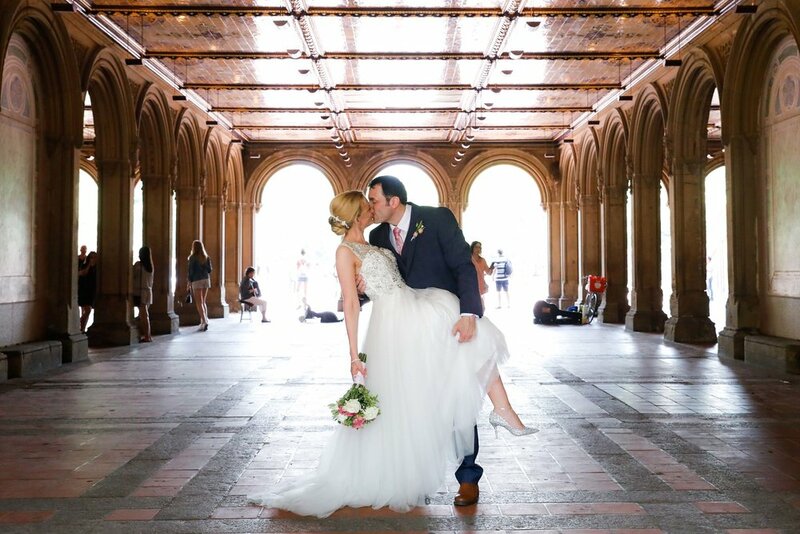 If anyone is thinking of that New York Dream – Harley and www.newyorkdreamweddings.com are 100% who you need to speak to, they’ll do their best to ensure your day is as special as ours was. Best wishes for the future Harley! Drinks on us, next time you’re in Ireland! When we decided to get married in NYC we were slightly overwhelmed with the choices but when we did eventually find New York Dream Weddings, we really couldn't have found anyone better than Harley to take care of everything. From the very first to the last email everything was easy, stress free and organized and we actually did very little. Harley's communication was excellent.........so quick at replying to any questions we had, right through to what to do in the run up to our wedding day. We had a lot of fun with the photos and Harley really did make it so easy. We have just received all our photos and they are amazing. Our wedding day was unforgettable all thanks to Harley and the team at New York Dream Weddings. Harley, you really are worth your weight in gold.....thank you for the perfect day! If you are thinking of getting married in NYC then look no further than New York dream weddings. From when we first booked with Harley he was amazing from start to finish. Answering all our questions via email in a timely manner and making us feel reassured we had made the right choice. On the day our limousine picked us up on time and our driver Mikey was amazing to. He knows New York like the back of his hand giving us a little tour along the way. From our hotel to ladies pavilion Central Park where we had the ceremony then Brooklyn bridge then finally Times Square. Harley himself is a really good guy and an amazing photographer who went that extra mile to make sure our day went perfect and he also stopped traffic in time square to get some excellent photos. Also thanks to Harley our little 10 year old nice Evie has taken up photography as she shadowed Harley throughout the day copying exactly what he was doing. Excellent value and a stress free wedding. We used New York Dream Weddings to plan our winter wedding in NYC. The planning was so simple and I kept checking with Harley that I wasn't missing something! Coming from Scotland for our wedding it was great to have someone so professional and not to have worries about whether everything was in place. We literally turned up and Harley took care of the rest. Our day was perfect and exactly what we had imagined and Harley took some gorgeous pictures of us as well as incorporating iconic NYC views. Couldn't be happier with the service. Right from the beginning Harley and New York Dream Weddings kept coming to the top of any other elopement services offered in New York. By taking care of almost every aspect of our wedding day, we were able to enjoy a fun, stress free day. Truly, the best day of our life so far! Even organizing our wedding from Australia, Harley’s support and prompt responses to all our queries put us at ease every step of the way. All of the services Harley organized, including: officiant, limo driver, hair and make up and florist were all amazing, delivering exceptional service in the lead up to, and on the day. Thank you again Harley, you delivered everything we could have hoped for and so much more. Dream weddings organized everything for us and all we had to do was show up. All our questions were never too much trouble and the whole process came together wonderfully. We could not Thank and Recommend Harley enough for everything he has done. He organized everything perfectly and his communication throughout was amazing. He completely took the stress out of the day and we were so relaxed with him organizing it. When you arrive in New York the only thing we had to do was visit the city clerks office for our license. Harley met us in the morning and everything was completed in just over an hour, if it wasn't for him I'm sure it would take us half a day and then everything after, which he also takes care of. His photography skills are fantastic as well, the pictures we have received are so professional and captured every part of our day. Thank you so much Harley for making our Wedding absolutely amazing!! We couldn't have wished for a better day, we loved every minute. Our families and friends thought it was fantastic from start to finish, a day none of us will forget. The idea of getting married came to us after we booked our flights to New York. I always wanted something unique and fun but I was convinced it wouldn’t be an easy process especially eloping in a different country. Then I came across New York Dream Weddings!! I was instantly impressed with the website and loved his style of photography. Right from the start Harley was responsive, accommodating and put my mind at ease. The paperwork and logistics were all taken care of and all we had to do was show up!! His team including the stylist and celebrant were first class. Planning weddings is supposed to be stressful but I had the complete opposite experience. The lead up was relaxed and full of excitement. I loved that our only focus was each other and having the most memorable day of our lives. The day itself was all that and more and the photos we have I will forever cherish. Thank you so much New York Dream Weddings. When my husband and I first decided to have a destination wedding/elopement (before going on a 6-week holiday across America), we knew instantly we wanted to get married in New York City. From the moment, I contacted Harley and New York Dream Weddings we knew that this was the company we had to go with. No one else compared to what they offered. We fell in love with his style of photography and he was so friendly and accommodating with everything, especially all the questions (which were constant ha-ha). I expected it to be extremely difficult to plan a wedding from the other side of the world (I am from Toowoomba, QLD, Australia) but Harley made it easy and organized every little detail. We knew he would make our day amazing and that is exactly what he did. Firstly, Sacha was our Celebrant and she was such a beautiful soul, having only met her on the day of the ceremony it was like we had known her for years. She made our ceremony flow smoothly and we felt right at home with her. Our videographer was super friendly and easy to be around. It was like they weren’t even there half the time which allowed us to get some awesome candid moments. Finally, Harley! Harley was beyond words amazing, as cliché as that is. He is such a down to earth guy who made our wedding day better than we could have imagined and very memorable, we had so much fun spending the day with him and it was a day we will never forget. I have no doubt when we decide to renew our vows in 5 or 10 years we will be getting Harley to organize it. I highly recommend New York Dream Weddings!! Thank you, Harley, and New York Dream Weddings!! Harley is an amazing photographer and a wonderful person. He put us completely at ease and made our wedding day 100% perfect. His attention to detail is unbelievable and I would recommend New York Dream Weddings to anyone thinking of getting married in NYC. We travelled from England to get married and I have no regrets. I really wish we could do it all again and if we could, I would definitely be booking Harley again. We have just celebrated our first wedding anniversary and looking back through our amazing wedding photographs is so lovely. Thank you New York Dream Weddings! Harley at New York Dream Weddings was an absolute dream! He could not have made things any easier than they were. After starting to plan a large traditional wedding, I realized I wanted something much smaller and out of town (and less stressful!). I contacted Harley for his Elopement Package which included the marriage license, ceremony & photography, along with whatever extras I wanted (I chose make-up and flowers.) He coordinated everything for me. He was extremely responsive to all of my emails and questions, and really informative and helpful. He helped me pick the perfect ceremony site in Central Park and secured a permit for us. He coordinated the make-up artist and flowers, and our officiant, who was really sweet and did a great job incorporating our story into the ceremony. We just got our photos back a few days ago and I am so happy with them! I highly recommend Harley! I'm so glad I found him, he was wonderful to work with and totally took the stress out of wedding planning! We decided to have a destination wedding and wanted it to be really special and fun for our blended family. While researching destinations, we came across New York Dream Weddings. After reading so many positive reviews, we contacted Harley. He was very professional and made us feel at ease trying to plan a wedding in NYC from Florida. Harley was very organized and provided many suggestions for ceremony venues, great photography backdrops, hotels, restaurants, and things to do in the city. Upon our arrival in NYC, Harley personally met us in order to obtain our marriage license. The hair and makeup team that Harley arranged did a fantastic job and the wedding bouquet was beautiful. Sacha was the minister Harley selected for us and she spent a lot of time corresponding with us to capture exactly the type of ceremony we wanted. Mike, the limo driver was prompt and lots of fun! He entertained us by pointing out interesting landmarks in the city. We choose The Ladies Pavilion in Central Park for our ceremony and Harley took care of all required reservations and permits. The icing on the cake to this fantastic trip was the absolutely stunning photographs Harley took from the moment we stepped out of the limo. He captured us in over 400 photographs in Central Park, Grand Central Station, and near the Brooklyn Bridge. It truly was a day filled with lots of love, fun and laughter. Harley is an incredibly gifted photographer and New York Dream Weddings made our special day something we will never forget. Harley is wonderful! We're so glad that we found him to plan and photograph our wedding in Central Park. He and his staff did an amazing job!! The ceremony was beautiful and we LOVE our wedding pictures! We highly recommend New York Dream Weddings! Harley and his team were magnificent. We married on the 11th April 2017 and had Harley manage everything with the Platinum Package - photography, videography, officiant, licenses, flowers, limo, hair and makeup, - the works. The day went like clockwork and we had a blast. Could not have asked for a better person to arrange our big day. The photographs by Harley Hall were brilliant and the videography from Kevin Frederick was ridiculously awesome. If you are considering getting married in NYC, reach out to Harley before you do anything. My husband and I traveled from Melbourne Australia with 4 of our children to marry in NYC. From the minute we first made contact with Harley and New York Dream Weddings we knew we had made the right decision. Planning is a wedding is stressful at the best of times but from the other side of the world could have been disastrous. Thankfully Harley took care of every single detail from our Marriage License, Venue (Grand Central), Hair, Flowers, Make-up, Transport and of course his amazing photography. Our special day rained from start to finish, which required making last minute changes to our photo locations - Harley was absolutely amazing and we could not be happier with the incredible shots he took of our special day. Thanks you sincerely Harley and New York Dream Weddings, we are so thankful we chose you to capture the most amazing and special day of our lives. My wife and I had a somehow improvised wedding on a very (VERY!) cold NYC February morning. Harley was pretty much awesome. He showed up ahead of time to grab a number and get our place in line at City Hall early so, by the time we showed up, everything moved quickly and smoothly. It also helps that he knows pretty much everyone at the clerk office at City Hall. With a couple of stops at City Hall, Brooklyn Bridge Park and TriBeCa, he did an awesome job at getting really cool shots of us, both the nice staged pictures and many of our "behind the scenes", involving cold, snow, ice and constant changes of footwear. He stayed with us all the way until the lunch with our friends, where he got a ton of great pictures and a lot of fun behind the scenes shots. In the end, we have now a great, gorgeous and really fun collection of pictures that we'll keep forever as memories. Harley is, by the way, a very cool fun guy. It was fun to work with him and not awkward at all to have him around at all times taking pictures. New York Dream Weddings was beyond amazing! My husband and I decided last minute to have a small destination wedding in NYC, and we were lucky Harley had our date available. From the very first email to the delivery email of the photos, Harley was prompt, professional and informative. He made the planning process easy and painless; even when I called or email to add something to our package almost every week, including adding more corsage's and boutonnière's 2 days before the wedding! I felt that I was able to stay relaxed throughout the planning as his packages include multiple add-ons such as flowers, hair and make up, limo service and location permit applications. Harley was an amazing photographer, and his photos are clear proof! He used his knowledge to create wonderful memories for my husband and I to look at as the years go by! Thank you Harley and New York Dream Weddings for making our wedding perfect for our style! My now husband and I were only joking about getting married in NYC but when I started researching it, Harley instantly stood out and we turned it into reality. Harley was so easy to deal with, always replying to emails and any random little question I had to meeting with us at the City Clerks office the day before. The wedding day turned out to be an absolute dream and we had the best day ever thanks to the organization of Harley. All our family and friends loved him as well. Our photos are amazing and every time we look at them we can't believe how much of a perfect day we had! Thanks so much Harley and New York Dream Weddings, it was literally our dream day! I am not one who usually writes reviews but I couldn't miss this opportunity to share with you our experiences of NYDW and Harley Hall. From the first point of contact to receiving the final photos - we cannot fault him. I am sure there are many companies who will offer to make your day unique and who will promise to capture your magical day but trust me; Harley does all this and more. He see's people, he understands your vision and puts you at ease immediately. We both hate having our photo taken and expected to only like a couple of our shots - in actual fact, we loved the hours we spent with Harley. It didn't feel like a four hour photo shoot with a random stranger, it was natural and full of laughter and the photo's absolutely capture this.The entire team at NYDW were faultless, the fabulous stylist Heidi made me look and feel like someone in a magazine and as a sleep deprived bride-to-be that was no easy task!! We came to Harley on a recommendation from a friend after speaking with several New York wedding companies. Despite having never visited New York we had a vision of what we wanted for our wedding and where we wanted to go on. From our first contact with Harley we knew he was the right person for us. We immediately knew he understood what we wanted and made suggestions that we hadn’t even thought/heard of as potential locations that matched our ideas. Everything was easy to arrange, because Harley made it easy with his personal but professional approach. We had our ceremony in Central Park which was a dream, the photo locations after were exactly what we imagined. Our photos are sensational. We have so many good ones we can’t decide what to frame. If you’re looking for a New York wedding, don’t look any further than New York Dream Weddings. Thank you Harley so sorry it took so long to post a review. We are from Australia and decided to get married in our favorite city, New York. I researched the companies that did this and immediately Harley stood out to me. Throughout the process he dealt with every enquiry promptly and organized the whole event for us. Harley is a true professional and just a genuine, real person who obviously loves what he does. From the moment he met us at the Town Clerk's office to the receiving of our photos a few weeks after we returned home everything was simply perfect. The wedding day was just magical. He was such good company and was able to communicate well with everyone in the wedding party. The photos are just stunning. I love looking at them and seeing our wedding through such an artists eyes. I could see his creative talent from his website and it certainly was evident in the photographs he took. Neil and I are very grateful for this experience and I truly recommend Harley and New York Dream Weddings to everyone. New York Dream Weddings was absolutely incredible to work with. Coming all the way to New York from Australia for our special day was an understandably daunting experience and Harley was there every step of the way to answer all of our questions and put any and all concerns to rest. He meshed perfectly with our party and was able to get the most gorgeous photos and videos on the day. All of the vendors contracted were superb. The make-up artists and hairstylists, the videographer, the musicians and celebrant were everything we wanted. Harley helped us to orchestrate a truly perfect and memorable day. I have and will continue to recommend him to anyone considering traveling abroad for their wedding. There aren't enough ways to say how amazing you were to work with. We still haven't found the words to describe our Christmas wedding in Grand Central Station! Utterly amazing! !With already having 2 young children together, we didn't want a big fuss for our wedding day. Having said that, we still wanted something special, unique and personal to our little girls and us. That's exactly what Harley delivered. From start to finish he was on hand to answer any questions (however random!) and ease any concerns we may have had. Living in the U.K., we relied on email contact, which was sharp and prompt on every occasion. Harley offered us suggestions without forcing his ideas and made us feel confident that whatever happened we would have a truly special day. Hairdresser and make up artist were there on time with friendly smiles and did a fantastic job. Our girls were made a fuss of and everyone made them feel so involved. The casual and relaxed approach of Harley helped everyone to get into the day without the formality of a "standard" wedding.The whole day went without a hitch and we ended on such a high, knowing we would be receiving some amazing photos in a few weeks....Well, there are no words to explain how thrilled we were a few days ago when we opened the email to find over 500 utterly astounding images which told the story of our day perfectly, capturing very little detail. Everyone we have shown them to has shed tears at how beautiful the day looked and how breathtaking the pictures are. Completely surpassed our expectations. From the unbelievable ceremony to the spellbinding photography, I would recommend New York Dream Weddings to anyone who was thinking of tying the knot in The Big Apple. We honestly couldn't have asked for a more perfect day and it's all thanks to Harley Hall. We are forever grateful to you for giving our family the day of our dreams. We will never forget it! Huge thanks to Harley for creating and photographing our special day in New York. We and our small group of friends and family had the most amazing time, with Harley fitting in around us and coping with the wonderful British banter. We are from the UK and really wanted our dream wedding in New York. After we read New York Dream Weddings reviews we decided that this was the wedding planner for us. Right from the very first email throughout the whole organizing process Harley kept us informed and answered each and every single one of our many questions very quickly and with lots of useful information. The wedding day was perfect and the pictures are beautiful. Harley is a truly talented photographer that has captured special moments that we will cherish. If you are looking for a wedding planner and photographer/ videographer we highly recommend New York Dream Weddings. What a lovely team of people, thank you so much guys! New York Dream Weddings was absolutely fantastic! They made the process of us coming over from Australia to get married in NYC extremely easy and took all the stress out of the planning! From the first point of contact right up until the big day and then afterwards Harley responded to all emails very promptly and no question was too big or small. He helped us with selecting our photo locations on the wedding day, and our photos turned out incredible! We couldn't of been happier with how our wedding went! Thank You New York Dream Weddings!! Planning a wedding can be stressful, especially when you are planning a last minute wedding in NYC! Harley and his team were wonderful to work with and took care of every last detail to ensure we had an amazing experience that exceeded our expectations. From first contact with Harley to looking through our amazing wedding photos, we could not imagine a more rewarding wedding experience. If you are looking to get married in NYC and don't know where to start, my wife and I absolutely recommend you contact New York Dream Weddings and they will take care of the rest! We travelled all the way from Ireland to New York City to tie the knot! From the very first email we just knew New York Dream Weddings was perfect for us! & What a dream it was!!! I think every bride should get their own Harley Hall! He is a wedding planning dream!! Haha! Nothing was ever too much! Even with the time difference everything was prompt & professional! But also fun! Our day was perfect, from hair & makeup, limousine, officiant, ceremony, photography everything! Harley pulls together the ultimate dream team & you just have to show up & watch it all seamlessly come together! Our day was the most relaxing & fun day of our lives! Our photographs are beyond amazing & we'll cherish them forever! Would also 100% recommend adding on the video! I watch it almost everyday!! �... it was all magical! 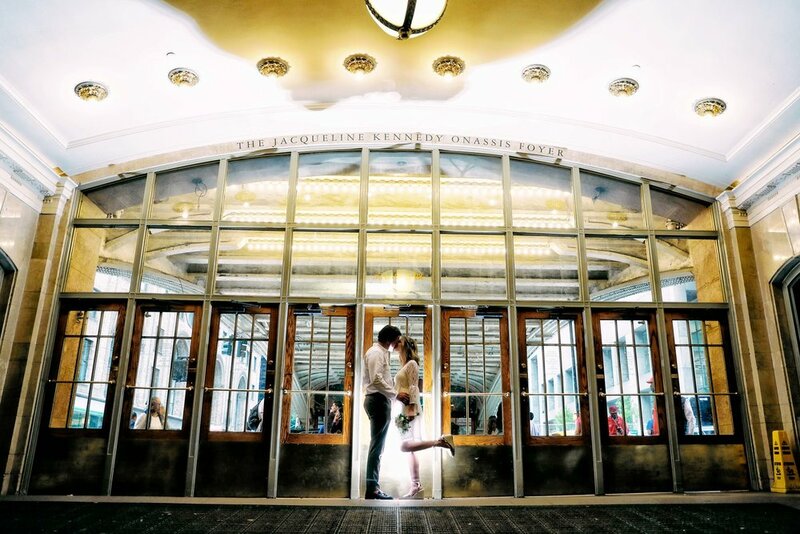 If you're thinking of eloping to New York, ask me any questions- I’ll be happy to answer! & If you want the most relaxed, stress free, fun & magical day of your lives. Plan it all with New York Dream Weddings! Again, thank you So much! Before we got engaged, my now husband and I knew we wanted to elope. We never envisioned the big white tents, the speeches or our first dance but we knew that we wanted our day to be special. After my husband proposed we started looking at various destinations to get married, from Thailand to Belize to Montreal. I spent months looking until one night my husband sat me down and suggested New York City. We both haven’t been in years and I liked the idea of the big city lights, the culture, and the entertainment. After that idea sunk in, I asked him now what. He said he found a photographer who would do it all and proceeded to show me New York Dream Wedding website and I knew this was it! The package that was offered was perfect to meet our needs and we contacted Harley immediately for more information. Harley responded right away and kept in touch as our wedding approached. He arranged everything for us including hair and makeup by Heidi (who made me look and feel so beautiful), our permits, marriage license, etc. Harley even suggested a few of his favorite restaurants we should visit while in New York, which was greatly appreciated. The day of the wedding went perfectly and we could not have picked a more dedicated, kind and passionate photographer. Harley made us feel like we were the only ones in a city full of people when taking our photos, it felt intimate and I cannot thank him enough for how all our photos turned out. I cannot wait to share these with our friends and families. Anyone who is considering eloping, just do it, you won’t regret it and you won’t regret using New York Dream weddings. Warmest regards! What a great service, we used New York Dream Weddings for our wedding in September and couldn't be more pleased with the wonderful service Harley Hall provided.It was all planed at short notice and everything went smooth, Harley kept us informed of the proceedings and what to do and where to be.On the day he arrived early and made us feel very welcome. He took hundreds of photos which are very professional and all easy to download to our home computer.We highly recommend New York Dream Weddings you wont be disappointed.Thanks you so much for a wonderful day. Pete and I have been together for 22 years and engaged for 9. Moving from Scotland to be with Pete, working and having our 2 fantastic boys means that life is very busy, to say the least! As my 50th birthday was approaching, I felt it was the right time to 'make it legal'. When I started thinking that I'd love to visit New York for my birthday that was when the idea was hatched to get married there. I looked at a few web sites, although once I found Harleys, New York Dream Weddings I felt there was no other that would do. The fantastic reviews other happy couples had posted sounded great. I contacted Harley, who was friendly and professional and couldn't believe everything that was included in our package! It meant all we needed to do was bring our outfits, knowing New York Dream Weddings would do the rest. We had the ceremony at The Ladies Pavilion in Central Park, and then were taken by limousine for photographs at The Brooklyn Bridge, Times Square and Grand Central Station. The day was perfect! We were having a birthday/wedding party 3 weeks after our wedding day and Harley, true to his word made sure we received the photos in time for the party. For some of our friends it was a complete surprise! So a huge thank you goes to Heidi for doing my hair and make up, Alice, our lovely minister, Mike our limo driver and most of all to Harley for giving us the most perfect wedding day we could have wished for! Thank you New York Dream Weddings, continue doing exactly what you are doing.....you do it so well!!! We had the most amazing experience with NY Dream Weddings and Harley Hall and his team. Harley was very professional from our initial enquiry through to sending through our pictures and wedding license. He was a true pleasure to be around and made our wedding day very special, he made us very comfortable and was a joy to be around - his dedication and passion for photography really shows! Our pictures are absolutely amazing and we couldn't be happier with them or our experience! I would recommend NY Dream Weddings to anyone looking to elope to New York. When deciding to arrange a wedding from the UK in New York it can seem like an impossible task. Like many we did a lot of research and contacted a fair few companies. When we came across New York dream weddings we knew it was right. From start to finish the whole process was amazing. I spoke with Harley and all our worries were gone. He made us feel like no matter what our dream was he would make it happen and he did. We got engaged in Central Park and we made the decision to go back to get married. We took a limited number of guests as we didn't want a big fuss. The day before our wedding we met Harley to get our license he was early as were we. It was so much easier than we thought possible Harley knew exactly where to go and what we needed to do. We hadn't made any other plans for this day as we didn't know how long the process would take. Less than an hour later we were done and free to enjoy the rest of our day. The wedding day all I can say is wow. I don't feel that any words can do justice to how special it was. Harley was amazing nothing was too much to ask and Michael our minister was superb it felt like we were married by a friend. Prior to the wedding we had been asked some questions as to how we met, what marriage meant to us ect. Everything we had said was incorporated into the service. It felt so personal and for that we can't thank him enough. We were then taken to three landmarks of our choice for photos in a limousine Mike the driver again was amazing so kind and accommodating. Now the photos. With no exaggeration I am terrified of having my picture taken I hate all pictures of me. I explained this to Harley and instantly he put me at ease. He took the most incredible pictures I have ever seen. He captured moments that we will treasure forever. He took pictures without us even realizing he'd taken them. As I said I hate pictures of myself but I can honestly say I am proud of every one of the pictures he took of us all and I have loved showing them to friends and family. Harley captured a moment once again that I didn't realize he had done. Unfortunately my Dad wasn't able to come to our wedding but he Face Time me whilst I was getting ready Harley took a picture of this call and now looking back on the pictures I feel like my Dad was a part of it. (Thank you Harley you have no idea what this meant to us).Our children took an instant liking to Harley and he embraced this involving them at every opportunity. My daughter doesn't take to many people easily but she wouldn't leave his side. I explained to Harley that we were holding a reception back in the UK a week after our wedding and could he send us over a few pictures to share on the night. Five days after our wedding we had over 500 images sent to us. Amazing you couldn't have that back home. Every one of our family and friends have commented on our pictures it made everyone feel as if they were apart of it. Our marriage certificate arrived just over a week after the day again we didn't expect it to arrive so quickly. I can't recommend New York dream weddings highly enough to anyone. The whole team made our wedding day a dream come true. You are all such kind, special amazing individuals and we will be eternally grateful for making our marriage and day more special than we could've dreamt off. Darren and Laura Lambert. Pete and I have been together for 22 years and engaged for 9. Moving from Scotland to be with Pete, working and having our 2 fantastic boys means that life is very busy, to say the least! As my 50th birthday was approaching, I felt it was the right time to 'make it legal'. When I started thinking that I'd love to visit New York for my birthday, that was when the idea was hatched to get married there. I looked at a few web sites, although once I found Harleys, New York Dream Weddings I felt there was no other that would do. The fantastic reviews other happy couples had posted sounded great. I contacted Harley, who was friendly and professional and couldn't believe everything that was included in our package! It meant all we needed to do was bring our outfits, knowing New York Dream Weddings would do the rest. We had the ceremony at The Ladies Pavilion in Central Park, then were taken by limousine for photographs at The Brooklyn Bridge, Times Square and Grand Central Station. The day was perfect! We were having a birthday/wedding party 3 weeks after our wedding day and Harley, true to his word made sure we received the photos in time for the party. For some of our friends it was a complete surprise! So a huge thank you goes to Heidi for doing my hair and make up, Alice, our lovely minister, Mikie our limo driver, and most of all to Harley for giving us the most perfect wedding day we could have wished for! Thank you New York Dream Weddings, continue doing exactly what you are doing.....you do it so well!!! Harley is amazing to work with, easy to talk to, easily accessible for questions/concerns, very professional... and knows the city like the back of his hand (born and raised)! I am the least photogenic person I know, and he managed to make us comfortable, and produced amazing photos. We did ours in a simple way... ceremony at the city clerk's office followed by a photo tour. We loved every minute of it and Harley captured it all. Heidi did my hair and make-up. She made a rough situation work beautifully... hair/make-up in the tiniest hotel room without a mirror to work in front of. She is very talented! If you are deciding whether or not to use New York Dream Weddings, ponder no more! You will be so happy with them and will end up with the best wedding photos you've ever seen. Getting married should be fun, not stressful, and that's what Harley's company is all about. It could not be more appropriate that Harley's company is called New York Dream Weddings! Prior to the wedding, fantasies marching in our heads about what the day would be like, and Harley delivered an experience, that not only delivered, but truly exceeded anything we had dreamed up. Harley guided what our wedding memories will be for our lifetime, and we could not be more thankful for this experience, and the memories of the day that launched us as a wedded couple. The entire crew, from Harley, to our officiant Stephen, to our limo driver Mike, were fantastic individuals, all fully invested in this day with us, and all incredible at their passions. We shared the day with our two daughters (6 yrs and 8 yrs), and Harley and Stephen not only helped make the day incredible for us, but where magnificent with these two young ladies. From the collaboration prior to the wedding, and the openness to share ideas, helping guide us through the paperwork process, handling the day of the wedding and all the photos, and finally to providing us the stunning visuals from Harley's breathtaking photography continues to have us bursting with laughter, tears of joy, and incredible stories upon incredible stories. Finally, we could have never dreamed to have been in photographs of such beauty. We now have a lifetime of being mesmerized by Harley's art. We truly have our breath taken from us each time we see these photographs.Thank you for everything Harley!! Massive thanks to Harley for making our wedding an absolute breeze! We had the most perfect day and our photos are just beautiful! Cannot recommend New York Dream Weddings highly enough! Thank you so much for a job well done. We are delighted with the photos. You exceeded our expectations from the moment we met you. Your professional and easy going manner as well as your attention to detail meant that we could relax and enjoy our day. We literally got off a plane from Australia and walked straight into our wedding, which you'd organised. And now to see the photos...it has brought the day back with so much clarity and emotion. We won't forget you or your team of professionals - Stephen, Heidi and Mikie. Heartfelt thanks to you all and best wishes for continuing success in your business. Wow! All we can say is "wow"!! Harley, you did an amazing job! We both aren't big on getting our pictures taken (as I am sure you could tell) and yet, you captured us perfectly! Before chris and I were together, people would say we had a chemistry when we were around each other. You captured that chemistry perfectly and so many of our friends said the same thing! Words can not tell you how thankful we are for your talent. This was a moment 13 years in the making and you captured our spirit! Thank you again tremendously for your talent, your patience and love of your profession! Everything from your website to your photographs were extremely professional and polished. You made our wedding care free and easy, allowing us to focus on each other. Thank you!! We want to thank Harley and New York Dream Weddings from the bottom of our hearts for helping us plan the most amazing day for Our Wedding. As we live in the UK, I was a little scared of leaving all the organising to someone in New York, however Harley put me at ease throughout the months leading up to Our Wedding. And knew he was there to answer any questions we might have had. Once we were in New York, he met with us to fill out Marriage Licence at the City Clerks Office, which was made effortless. Our wedding pictures are beautiful and can't thank Harley enough for giving up some of his Christmas Day to spend it with us, thanks to everyone at New York Dream Weddings for helping us have the Most Magical Wedding we could ever have dreamed of. Keep doing what your doing, you are amazing. Paul and I were laying in bed one night and came up with this wacky idea of flying to New York to get married, Harley and New York Dream Weddings bought this idea to life and it was better than we ever imagined. They planned our entire wedding and to say it was amazing is an understatement. We were in our own little bubble the entire day, and spent it laughing and chatting and making wonderful memories. When friends say how stressful planning a wedding is, I just can't sympathise as ours was so easy, Harley did absolutely everything, all we did was chose our location and bring the dress and suit with us. Harley and his team are the ultimate professionals and their service is second to none. And then there are the photos, well what can you say PHENOMENAL! Thank you doesn't seem to cover it, Harley and NYDW created a wedding that was everything we ever wanted plus so much more. We have memories that we will treasure and photos that will line the walls of our home forever. New York Dream Weddings did a incredible job helping us pick the perfect location for our intimate wedding. Harley was always in contact with me for any questions or concerns I had and answered in such a timely fashion. I could not have asked for a more perfect day! Everything New York Dream Weddings has to offer is top notch. The planning, photography, the locations we had to choose from! I was very impressed. He made our day such an unforgettable one! I highly recommend his services! We had planned our trip to New York and decided to wanted to get married in central park during our stay. we read reviews for New York Dream Weddings and decided that using this service would be a good idea and simplify things for us greatly. He assisted us in sorting out the wedding license, organised the ceremony in Central Park, took very wonderful photos throughout our time in central park, both before, during and after the ceremony. I have no words to describe the beauty of Harley's work. No matter what I write here it won't be enough to express such talent. Harley was phenomenal !! !Our pictures are absolutely wonderful and we couldn't be happier the way they turned out. Thank you Harley for capturing such beautiful moments we will cherish forever. I must say, the day was perfect and the preparations for the day were minimal for us. Harley had given us a choice and recommendation regarding the minister weeks before. The minister contacted us to go through personal requirements on how he should develop his speech and us our vows, also giving us great recommendations. Upon arrival in NYC everything was executed down to the last point perfectly well and Harley and his team actually over delivered! This coming from a German will mean something. We met Harley a few days before and went through the registration at City Hall. He guided us through all the steps and during the waiting time he took us through what would happen during the big day. On the day itself the make up artist came around 6.30 to prepare the bride. She (and everyone else) was very happy with the result and she finished her session a few minutes early. We went down to the reception where we asked all our guests to gather for 8.15 am. By 8.30 we stepped into a neat limo-bus which took all the guests (and wheelchairs which had arrived the night before!) to Central Park. We walked a few minutes to the Lady Pavillion, which was a fantastic, cozy and impressive location where our minister already waited for us with a warm smile. The ceremony itself was very special and much more personal than we actually thought. The wedding party was able to circle around us and be really close to us. The speeches given by the minister were really personal and also touched my somewhat critical and traditional parents. With the scenery being absolutely magnificent we started our photo shoot at the Lady's Pavillion. Then we stepped back on the bus and made our way to Brooklyn Bridge while drinking champagne on the limo. Everyone felt relaxed and entertained when we continued the shoot and stepped back onto the bus to take us to Washington Square Park. Finally the bus dropped us at the restaurant which we had organised ourselves around 1.30 pm. All in all the sessions were fun! Harley is not only efficient in executing a plan but he is really good with people. He really engaged the wedding party well with his charm but was never 'in your face'. The ice in our case was immediately broken as he spoke to my family in perfect Portuguese!! As it turns out Harley has an incredible history behind him, having lived in many countries before which really suited our international group. The whole experience was absolutely amazing!! We wouldn't have done it any other way and we definitely could not have done this without New York Dream Weddings and your awesome group of people who made our special day perfect! The pictures are so great. We are having a hard time trying to find our favorites because they literally are all amazing shots. We can't thank you enough for making our day so wonderful and stress free. Again it was such a pleasure to meet you. You are truly great at what you do! We recently eloped to NY and used NY Dream Weddings. They were beyond awesome to work with. Our photographer/planner, Harley Hall, was amazing. He helped us through every step and made the whole event stress free and wonderful. His photographs are just as amazing as he is, too. I highly recommend checking him out on Instagram. Our package also included a limo, minister named Stephen Dym, and hair and makeup lady named Heidi. It was a great team! My hair and makeup was perfect! We emailed before, and Heidi knew just what I wanted. Stephen, our minister, was beyond sweet and really made the ceremony special. Lastly, the limo service was the best way to really enjoy running around and taking photos. Mikey, the driver, was a blast, too. Overall, we are beyond happy and will never forget our perfect day thanks to everyone at NY Dream Weddings! Gemma and I can't thank Harley enough for arranging our perfect wedding day. From the initial planning back in the UK, through the surprises that I wanted to arrange to make Gemma's day even more special, to the photos and our marriage certificate; he provided an exceptional service. Exceptional, in truth, doesn't do it justice. So many of our friends and family have said that we have the best wedding photos they've ever seen... and they're right. We have truly amazing photos and now these memories, that he helped to create, will last a lifetime. Harley arranged everything and delivered every time. Even some late organising of a string trio and horse and carriage were done with no drama. He arrived early at appointments and spent longer with us than we expected. Photos were sent on time and so was the marriage certificate. He was good fun, and as I'm someone who hates his photo taken, he made me feel at ease and relaxed during the day. Thank you so much for helping make our day perfect, from the wedding planning services to the fantastic photos, I would recommend Harley and his company to anyone looking for the complete package. Reading through all the reviews is fantastic because they do express exactly what we have experienced as well. We enjoyed every single minute with you being our wedding planner and photographer - from the first contact to the minute you left us as a very happy and married couple in the middle of NYC :-).It would probably be way too much to list all the wonderful details of our wedding day and how you contributed to it. Far more important is that you are a wonderful (... and funny :-)) person who always acts with passion and dedication to create a very special and unique wedding experience - we loved it! But it is also your ability to choose the other members of your "Wedding Team", like Heidi and Stephen - they follow your model and we will surely never forget Stephen's enthusiastic ceremony! Thanks to both of you! We don't really want to specifically mention that you were always on time, that everything went exactly as planned and so smooth because your are a professional! What we really need to point out are your photos ... they are breathtaking and we can't stop looking at them! These photos will surely accompany us for the rest of our lives and will always put a smile on our faces. Harley, do not change anything - what you do and how you do it, is just perfect! We thank you from the bottom of our hearts and we wish you and your family all the very best for the future!!! THANK YOU; the photos are amazing!! you are so incredibly talented.. I've shown the bridal shop I brought my dress at and the seamstress, just a couple of the photos and they've said they're the best they have ever seen!! some of our friends have seen just a few at the moment and they are shocked with how magical the photos are !!!!!!!! you've captured some amazing moments and the black and white photo against the limo looks like something from a magazine! Thank you again for helping make our wedding day amazing. Given the experience of not having been to New York before, and first meeting you online, then in person, turned out to be a great decision to have you as our wedding photographer. Your final wedding pictures are amazing. We appreciated your calm and easy approach photographing the ceremony. Again, we deeply appreciate your part in our lives. Much continued success! When my fiancé and I decided to get married in New York the first thing I did was google “Getting married in New York”, obviously. It soon became apparent that although the process itself was relatively simple, it seemed so time consuming it nearly put us off the idea altogether. Even deciding WHERE to do it was overwhelming.With my next click, however, we discovered New York Dream Weddings. Harley and his team made everything so easy right from the start. We opted for the silver package. This was our third marriage each and we wanted to keep it simple. The ceremony and the photographs were the most important thing to us, along with not having to worry about paperwork. Applying for a license is really easy. But Harley still met us the day before our wedding to help us with that too. A quick trip to the court with a signed document meant that Harley could return the day after we got married to complete the remainder of the paperwork to ensure our marriage was legal in the UK. Harley has great knowledge of Central Park, where we wanted to have our ceremony. He knew straight away that our original choice, Wagner’s Cove, wouldn’t be available due to the bad winter and was being renovated. When we arrived on the day and he took us to Ladies Pavilion instead we were blown away by the beautiful spot. Stephen, the officiant who works with Harley, had contacted us a few weeks before hand to find out all about us. He created a wonderful, individual, personal ceremony for us, lasting over 20 minutes. He had really paid attention to what we had told him about ourselves.The hour spent after the ceremony with Harley taking photographs was great fun. Neither my husband nor I are big fans of having our photos taken, but Harley made us relax and enjoy it. We are so pleased with the final photographs and have loved showing them to our friends and family. Harley could not have been more friendly and helpful. A point brought home to us even more when, we discovered on arriving home that my mother in law was very unwell. We emailed Harley asking if we might have 2 or three of our photographs just so we could show her some soon and he turned the whole lot round for us in a week. We had such an amazing, happy and, most importantly, stress-free wedding thanks to Harley and New York Dream Weddings. We will never forget it and I cannot recommend them highly enough. Our wedding ceremony at the Top of the Rock could not have been more fitting and perfect for Ashley and me. It was truly the best day of our lives. From the early planning stages of our wedding ceremony until its fruition, Harley made the experience so easy and smooth. Harley always maintained an open line of communication throughout the planning process, provided excellent recommendations, had a great sense of humor, and captured some striking photographs of our wedding day that we will cherish forever. In addition, we absolutely loved our Officiant, Stephen Dym. His enthusiasm during our ceremony was awesome...and very endearing. New York Dream Weddings is THE superior wedding planning and photography company in NYC. You won't be disappointed, I promise! Firstly we would like to thank you soooooo very much for arranging all those things on number 99.9!! !Talking about cutting it fine, I think we did it really fine, from not haven't had nothing arranged the night before @ 6pm when we met you @ Starbucks, Penn station, to be married the next day in Central Park @ 15h00 with a Reverend, Limo, Flowers, champagne and the coolest of all photographer!, WOW !!! You Rock, Respect my man!! !Thank you so very very much for having made “Our Day” so Special!! !, Merima has always said from the day we decided to do it on the last minute run away theme, that all will be alright, man then the night before we Goggled Your company, New York Dream Weddings!!! And All Was Perfect!! !I am looking forward to going home tomorrow and to go and select our favorites and make an album from them!!! AT FIRST WE WOULD LIKE TO SAY THANK YOU HARLEY FOR THAT WONDERFUL DAY! 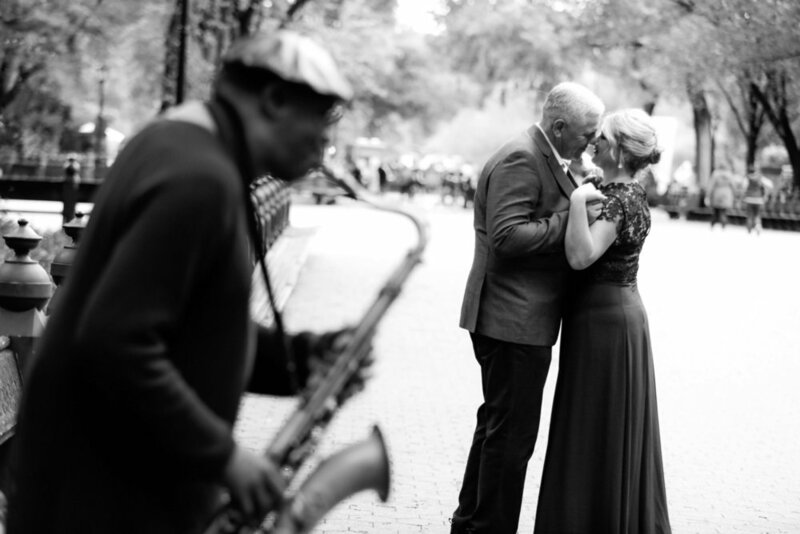 WE HAD A BEAUTIFUL WEDDING AT CENTRAL PARK AND HARLEY DID SOME REALLY BEAUTIFUL PICS! AFTER THE WEEDING WE DRIVE TO THE OTHER SIDE OF THE BROOKLYN BRIDGE AND WE HAD A SHOOT IN FRONT OF THAT. WE REALLY LOVE THIS PICS:)WE FOUND A REAL FRIEND IN HARLEY...THE WORK FROM HARLEY IS JUST PERFECT! We have rewritten this so many times before posting online as it is hard to put into words how brilliant Harley made our wedding day. It was more than we had ever dreamt it could be and Harley’s relaxed and exuberant nature put us at ease from the moment we met. The photographs are amazing and we cannot believe that we actually look so good. We wanted a photographer who'd capture the mood of the day, with all its emotions, and who would take interesting, fun pictures that we'd want to look at for years to come, rather than stiff, formal shots that would gather dust in an album in an attic somewhere, and that is exactly what we have got. A massive thank you Harley to you and your team of lovely people our day was Perfect. Harley, We can't express enough your professionalism as a wedding planner. Your work is vibrant and amazing in every detail. You made are wedding magical with your articulate masterpiece behind the lens. We could not be happier with your work. If anyone is looking for a wedding photographer or planner you would be crazy not to hire a Harley. He is passionate and puts his heart and soul into his work. That is very rare to find especially on your wedding day. With only 2 days notice Harley made our wedding possible. Thank you so much Harley!!!! If your ever in Texas you have an open invitation. WE HAVE BOOKED New York Dream Weddings FROM GERMANY FOR OUR LITTLE CEREMONY IN THE CENTRAL PARK. WE HAD BEEN SO EXCITED ABOUT HIM AND HAD HIGH EXPECTATIONS, BUT WERE NOT DISAPPOINTED. HE WAS ON TIME, AND FROM THE BEGINNING UNTIL THE END WE HAD SO MUCH FUN. HIS RELAXED AND PERSONALLY STYLE MADE US FEEL EXTREMELY COMFORTABLE. HE STAYED WITH US WITHOUT ANY HINT OF GETTING TIRED. HARLEY HAD GREAT IDEAS AND SUCH A POSITIVE ENERGY. YOU CAN FEEL HIS PASSION AND HIS HEART IN EVERY PICTURE. WE ARE SO GLAD THAT HE WAS OUR PHOTOGRAPHER. WE HIGHLY RECOMMEND HARLEY HALL WITHOUT HESITATION, IF YOU WANT ORIGINAL PHOTOGRAPHY WITH HEART AND SOUL. THANK YOU AGAIN, HARLEY! From the moment we stepped out of our limousine, Harley´s professionalism really shone through in his relaxed, yet personally sensitive style which transformed our own little ceremony in the park into memories for a lifetime. Finally we visited the Brooklyn bridge for some classic photos with both the Brooklyn and the Manhattan bridges in the background. Thank you Harley and New York Dream Weddings for a wonderful day, and a set of photos any bride would die for! We are so happy we used New York Dream Weddings! Harley is a great photographer! He has made beautiful wedding photos and all our guests loved him. We would use New York Dream Weddings again and would tell all of our friends to use them as well! We cannot recommend or thank New York Dream Weddings enough!!! We are an English couple that decided to get married in New York , as you can imagine planning a wedding in another country was a very nervous time for me and I had to rely on email to communicate . New York Dream Weddings was a superstar from our first email they were always really quick to respond to any questions I had (and there were lots )), They were also very proactive in making suggestions and made me feel totally as ease. We wanted ‘non traditional photos’ that captured the feel of the city and they captured our vision far better than what we could of every imagined, Harley is a true master at wedding photography. On the wedding day Harley arrived on time, looking very smart and was full of energy and enthusiasm - he constantly had everyone smiling, even the most nervous of guests! It was more like having a very talented, creative close friend taking our photo’s than someone I had only briefly met. The end result was over 400 truly fantastic photographs (many I had not known had been taken as Harley has a great skill of just blending into the wedding party enabling him to capture precious moments that most photographers would miss). He also suggested several really creative shots that look like something from a Vogue shoot - they are truly amazing! If you want creative, beautiful photo’s that you can cherish forever, I would recommend New York Dream Weddings 100%. We came from Germany and were really excited about our wedding in New York! We found New York Dream Weddings while searching how to get married in New York and decided to use their services. When we met Harley in person, we were so glad. He was on time and just from the beginning we had so much fun. Our ceremony was just perfect. We married and had our 20 month old baby with us and Harley was all the time professional and also funny. The photograph tour in Manhattan was the best we ever had. We can recommend New York Dream Weddings 100 per cent. The pictures he send us via email were awesome, pictureperfect, phantastic!!!! We proudly show around our wedding pictures and receive a lot of compliments. New York Dream Weddings did a great job! I highly recommend them to anyone wanting to get married in New York. Reliable, kindly, professional, ingenious, straightforward, easy-going, funny. We enjoyed every minute with Harley. He kept in touch really quickly during the preparations, he showed up on time and he was a lot of fun to be with...made us feel really at ease. I'm so glad we chose him. His pictures are fantastic, very professional and very artistic...just really special!! We love them! I contacted Harley at New York Dream Weddings after seeing a wedding album that was made by him for friends. I could see the quality of Harley's work and the perfect eye beyond the lens. We decided to hire him for our wedding ceremony in NY and enjoyed every moment! I must say that being photographed by a professional photographer is not easy - though he is the man to make you feel comfortable in front of the camera. The final work really shows his passion for what he does. I highly recommend New York Dream Weddings for every moment you need to keep in your heart.